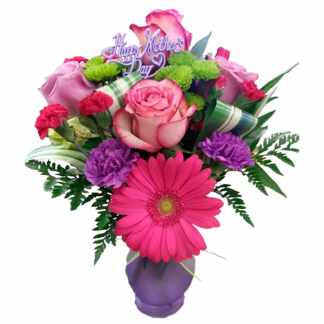 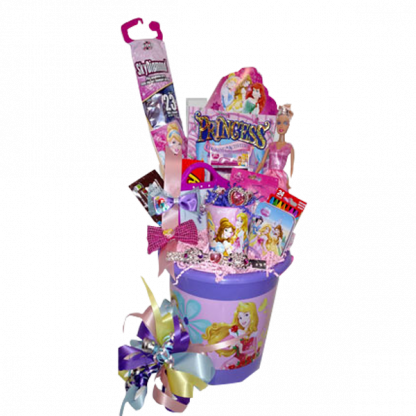 A Princess basket fit for a young queen. 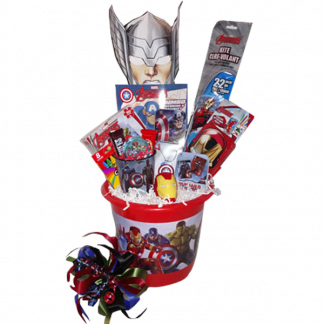 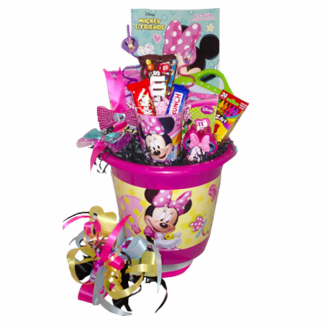 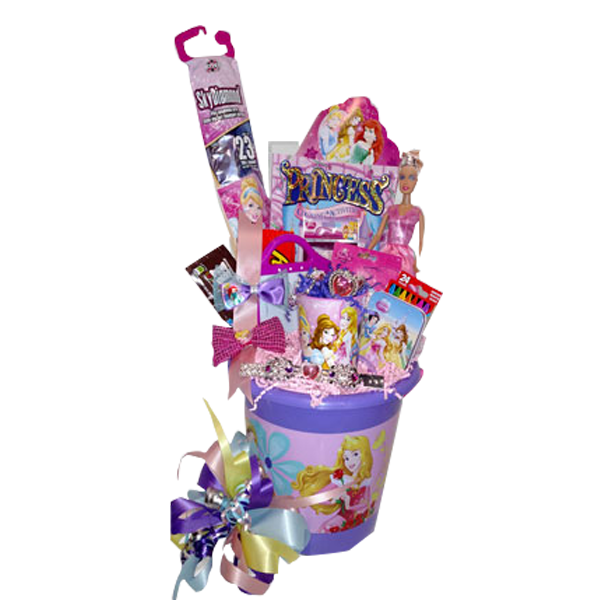 Basket includes a colorbook, princess doll, magic board, playing cards, a cup, stickers, bows, jewelry set, crayons a princess crown and a kite. 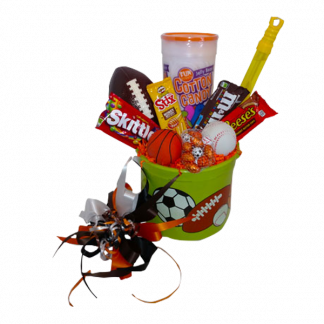 Treats include m&ms and reeses pieces.